Bumbleride Speed Running Stroller (BRSPEED18) at Pure Design Kids / Tots-n-Toddlers / Strollers ::: Kids' Toys, Furniture and More at Pure Design Kids! Speed. 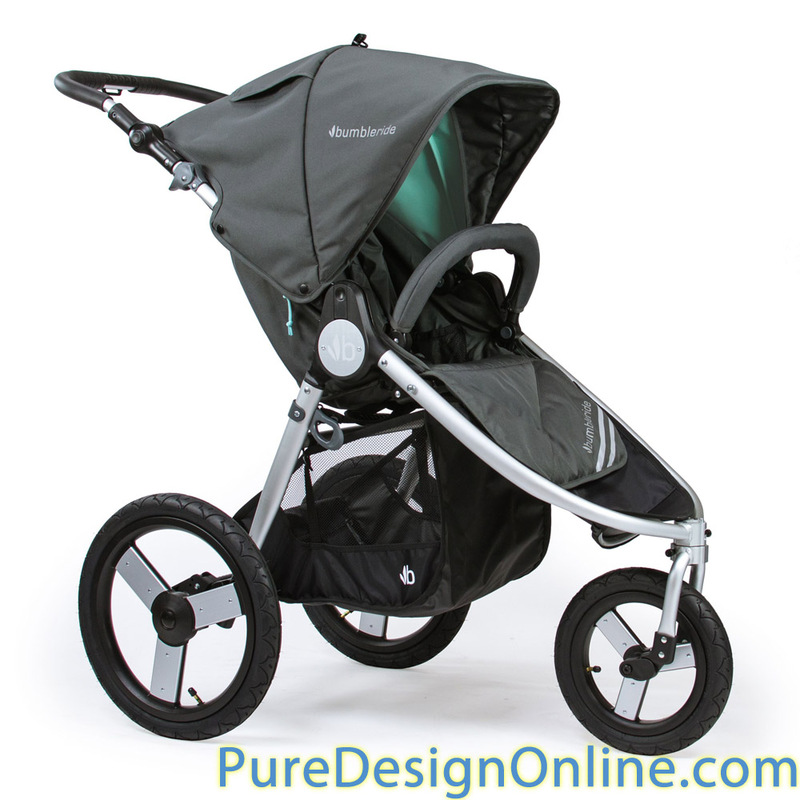 The purpose-built running stroller specifically engineered for you to go at your pace. Soft, durable fabrics made from 100% recycled PET have kept over half a million water bottles out of landfills since 2011. It's not an option, not an upgrade; just the right thing to do. It's the only stroller available equipped with 3 modes of transport RUN.WALK.JOG. because like life with little ones, you need flexibility. Speed moves smoothly on all-suspension, air-filled tires, and folds with ease due to a new ergonomic trigger release. Complete with extra reflective elements, the redesigned canopy provides more headroom as well as increased sun coverage, so you can get out whenever life calls for adventure. Keep going strong.